We all want a tool that will do the job right. SEO is probably the most important part of promoting your webshop and it can get really messy really fast. Made for professionals, used by everybody. Our modules are packed with lots of features like bulk update, excel, widgets, automated generation and much more and yet they are some simple to use, any one can do it. With “SEO module” as the “mainframe” you can add other SEO modules to work seamlessly together via the SEO module API. If you just need SEO urls – just install SEO urls. If you want to manage meta – install SEO module meta. Its that simple. We take great pride in our code. Hey, we even developed our own system shopunity.net to help us keep the code clean and bug free. 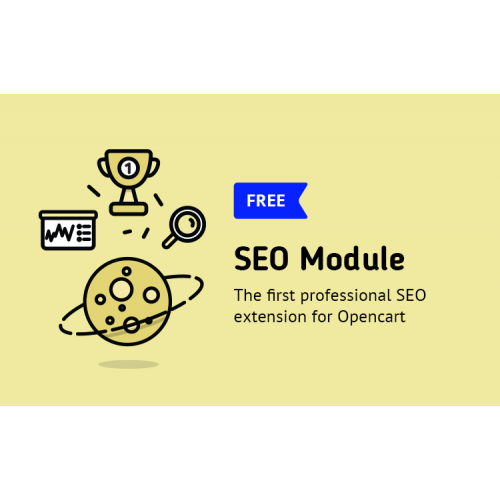 SEO module is the first professional extension to utilize the power of Opencart Event system to its maximum. The SEO module allows you to edit both .htaccess and robots.txt files, so you can set up the basics right from you SEO module admin. Over the years we have tested our extension together with our clients. It has proven to be efficient, providing great results and has really saved hours and hours of work for our company. Now it can do this for you. Looks nice, but just impossible to find how to download the file, after registering and read the "how-to-download" file. Shopunity doesn't recognize the email/password. Awesome extension! Thank you so much! I can modify my robots.txt and .htaccess directly from the admin panel. i removed module my site doesnt work ! Hiya, I am really glad I have found this info. Today bloggers publish just about gossips and web and this is actually irritating. A good site with exciting content, this is what I need. Thank you for keeping this site, I’ll be visiting it. Do you do newsletters? Can not find it.